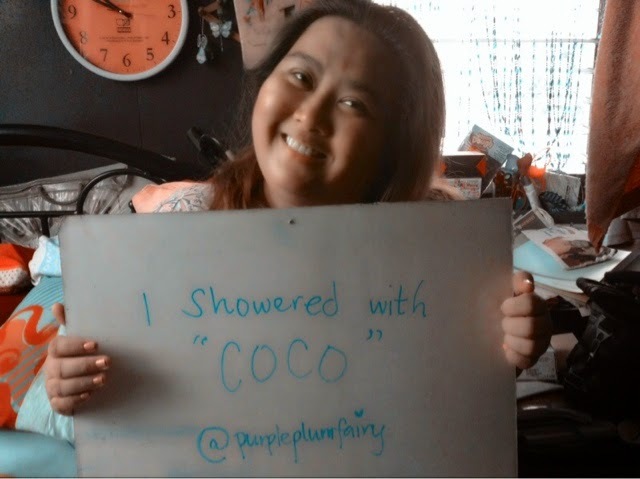 Purple Plum Fairy: The Secret is Revealed: I Showered with Dial Coconut Water! The Secret is Revealed: I Showered with Dial Coconut Water! I know most netizens must have been really curious about the trending topic or most talked about on different social media platforms recently such as Facebook, Instagram and Twitter (where it has even landed on the number one spot of trending topics last September 5, 2014 in the morning), but what was the fuss really all about? Well, we were given a "GO" signal to finally reveal the secret about what we've had in the shower--tadaa! 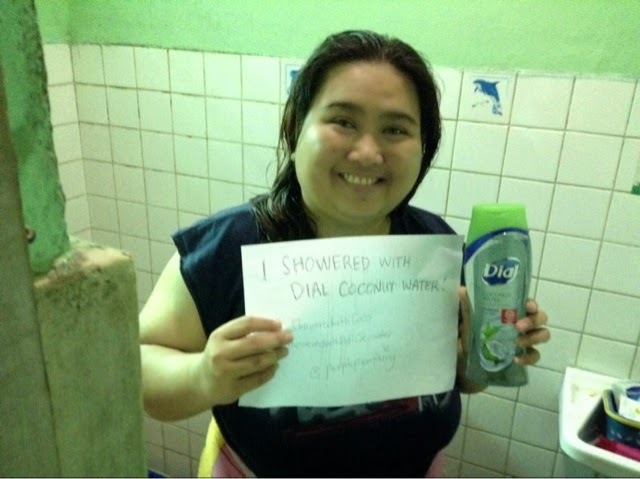 Yes, I admit to have showered with Dial Coconut Water Hydrating Body Wash! It has ultra fresh hydration with moisturizers so you can be assured to be smelling fresh all-day without having to suffer from skin dryness. Dial Soap's goal and mission is to help consumers to have healthier skin. With Dial Coconut Water Hydrating Body Wash, although it's tough to remove the dirt and grime from your body, it is at the same time gentle as it manages to leave a protective layer because it has moisture balance, that's why it's very gentle on your skin. An advance moisture-attracting formula gives off its long lasting, lightweight hydration. So what sets Dial Coconut Water body wash apart from all the other body wash there is in the market? It has bamboo leaves extract which provides ultra fresh hydration to keep your skin feeling clean, fresh and moisturized. Here's a coconut water fact: Found in young, green coconuts, known to be rich in antioxidants and electrolytes to help provide replenishing hydration. Dial Coconut Hydrating Body Wash has the following electrolytes like Sodium, Magnesium, Calcium, Potassium, and Phosphorus proven to help replenish and hydrate tired wrinkly and weary skin. It works in a rich, foamy lather that makes bathing easier and more enjoyable. Dial Coconut Water body bath nourishes the skin and promotes skin glow and elasticity. Being given the opportunity to try Dial Coconut Water Hydrating body wash, had given me a sense of thrill and excitement. Dial Coconut Water Hydrating body wash perks me up in the morning with its oh-so-sweet coconut scent! It's such a sweet smell that you'd have to remember it was meant to use for a refreshing bath and certainly not a drink. Based on my own personal experience, there's no need to put some lotion after having showered with Dial Coconut Water Hydrating Body Bath. The body wash in itself prevents skin dryness so your skin stays smooth, moisturized and as an added bonus, had that yummy sweet coconut scent! 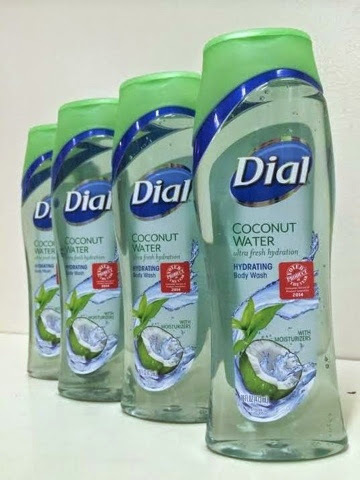 Dial hasn't exactly changed their formula, and if you loved Dial for the way it was, you will definitely adore this new Dial Coconut Water Body Wash! No need to worry though, because the scent isn't unpleasant, too strong or over-perfumed. I'd have to say that Dial Coconut Water is lightly-fragranced emitting a sweet coconut soft scent. It could be tough on dirt but gentle on your skin. The best part? It rinses off clean without any filmy residue and it leaves one with a soft, clean, velvety baby fresh skin that lasts you all day long! 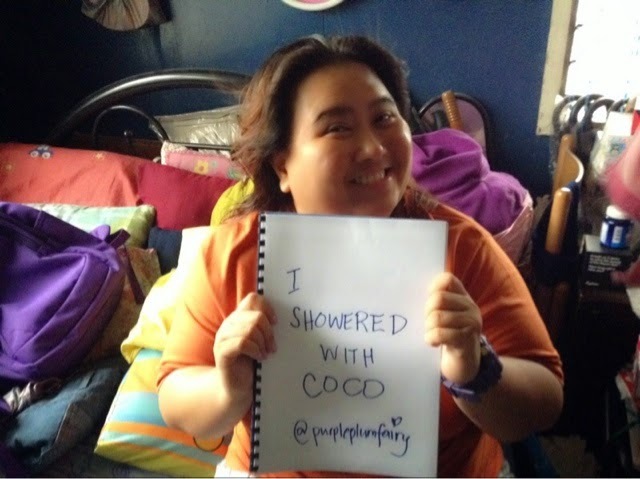 Labels: #IShoweredwithCoco, #IShoweredwithDialCocoWater, Dial Coconut Water Hydrating Body Wash, Product Review.